LAKE FRONT LUXURY 2017 Build, Like new home is 100% move-in ready, 5 bedrooms, 3 full bathrooms, 2 car garage with storage. Large newly fenced backyard overlooking pond w/room for a pool. 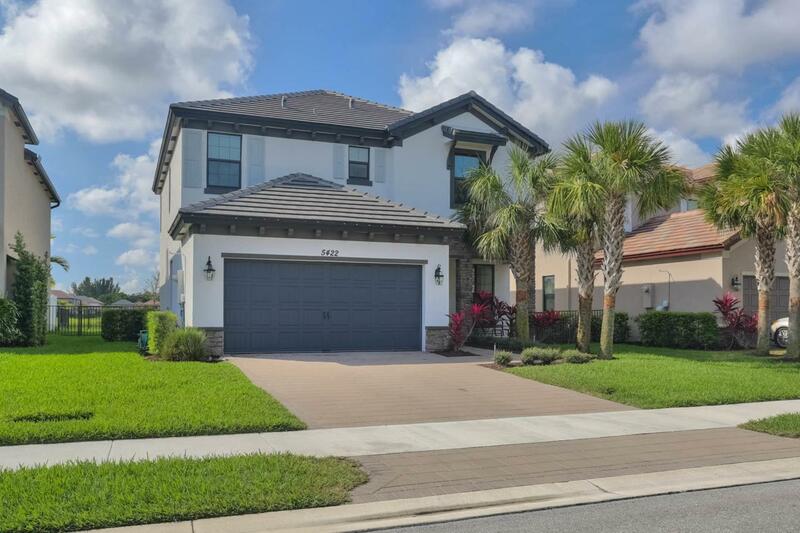 This ultra- modern home boasts a premium lot & has all the Bells & Whistle including full Hurricane Protection Accordion Shutters, Window Treatments throughout, beautiful 42'' high Kitchen Cabinets, Kitchen Island, elegant tile flooring & 7 breezy energy efficient ceiling Fans. Gated community w/beautiful Club House & play area. Conveniently situated in the dynamic area of Hypoluxo Rd & Military Trail, this exclusive gated-community of luxury estate homes offers a neighborhood of parks & community swimming pool. With a prime location from top-notch shopping, restaurants, beaches & MORE! Listing provided courtesy of Keller Williams On The Water Sarasota.